Creative Adult to Creative Kid, Find that and More at? Carlsbad, CA (Perfect Travel Today) 10/14/17/–Located in Sunny Carlsbad California, sits a fun family resort park, known as LEGOLAND. LEGOLAND, California has three parks located on the premises, LEGOLAND theme-park, LEGOLAND Waterpark, and the Sea Life Aquarium. The resort theme park, has over sixty rides, shows and attractions, and is an adventure for the whole family, or maybe just the overgrown kid at heart… The following rides are some of the main attractions at the park:: Lost Kingdom Adventure- the ride features laser guns that target enemies though an ancient underground in which unlocks pop up features. You can play against your family and see who may get the top score. Dragon Coaster- You enter through a castle, through a dungeon underground where you are surrounded by a Dragon that is trying to take over, the Lego Life-size figurines are all terrified, especially the King and Queen, as their men try to fight, this is where you will take flight on the dragon yourself and try to conquer this Dragon Rollercoaster. Don’t worry it’s a very gentle ride… Driving School- On premises there are two courses, each one designed for different age groups up to 13. sorry no adults aloud. This one is for the kids, let them drive this one time… The kids really enjoy it and its safe. Splash Battle-this ride has max crew of four people and you are armed with water guns to shoot while you set sale as a pirate. Ahoy Mates” Either way be prepared because on the outside also is aligned a shore with water guns, these ones ore more powerful than the boats so plan to get soaked, not only do the kids enjoy but the Adults love to play like the kid and soak you…so don’t bring any valuable aka Cameras…. The rides are not the only hit in the park though, you will need to check in and use your creativity and imagination to explore the premises. During your exploration, you may get lucky and come upon a place knowns as Explorer Island. This adventure includes digging for dinosaur bones. There are plenty of fossils to be discovered! LEGOLAND would not be LEGOLAND without blocks to test your building creativity and skills. Head over to the areas throughout the park that spark your interest to test this special brain activity skill. What can you build?? Duplo Splash Safari- This is a smaller ride for the kids, but, if your adult you can par-take as well with your child. Especially if you are too scared of the big water rides then these are perfect for you… They also offer splash and spray characters from the Duplo Lego version. think “Elephants””. 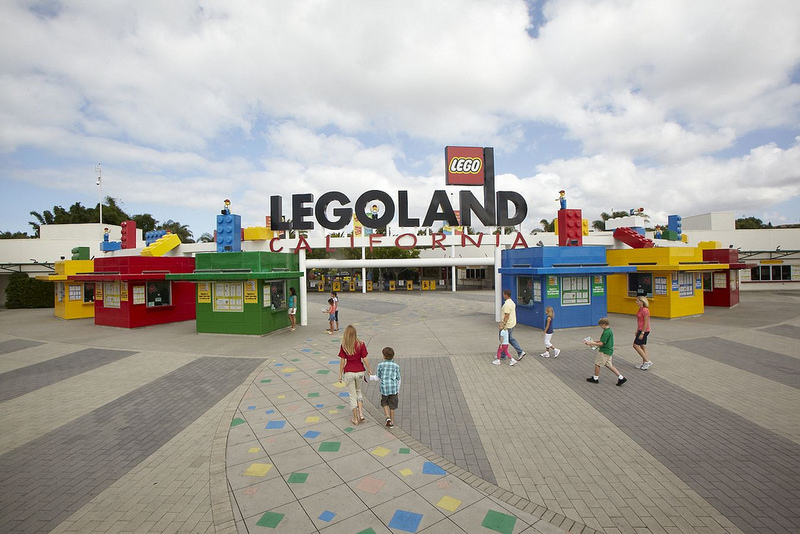 LEGOLAND California really is the place for the kid at heart to the whole family. You can bring your creativity alive and leave with a lifelong impression… Enjoy! LEGOLAND California, www.legoland.com, located in sunny Carlsbad California.